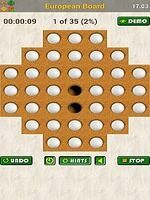 You may not have heard of Solitaire Ball Game before today, we will show you its features. Accessible from the "Games" category, it can be downloaded on Google Play in version 2.2. This app is classified for the general public. With a score of 4.0 out of 5, Jeu de bille Solitaire has made its way on Google's platform. PANAGOLA did a good job of programming by offering a well-crafted application. Very simple and without sexual content, the application Solitaire Ball Game is downloadable by everyone. This application does not require any precautions or important knowledge. 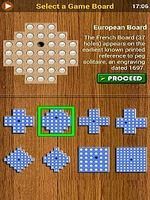 In the end, Jeu de bille Solitaire only requires an older Android version, so you won't have any accounting problems with nextgen mobiles. Stupid Again is a very fun puzzle game. He will offer you very original puzzles that will give you a hard time. Stupid again is a puzzle game that offers you 60 very original puzzles. You will have to find the most logical solutions, and they will probably not be the most obvious. Enter the world of J.K. Rowling through Harry Potter's spin-off: The Fantastic Animals. You are hired by the Ministry of Magic to solve the investigations of the Magic Creature Control and Regulation Department. 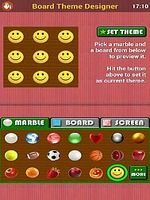 Puzzle game or sliding puzzle for your phone or Android tablet, puzzle game in three different levels for children and teenagers.